Xian— one of the oldest cities in China, it served as capital of 11 dynasties, and is notable for being the starting point for the famous “Silk Road”. Here, we can explore the great history and vivid stories behind the terracotta warriors that were buried for over 2,000 years. 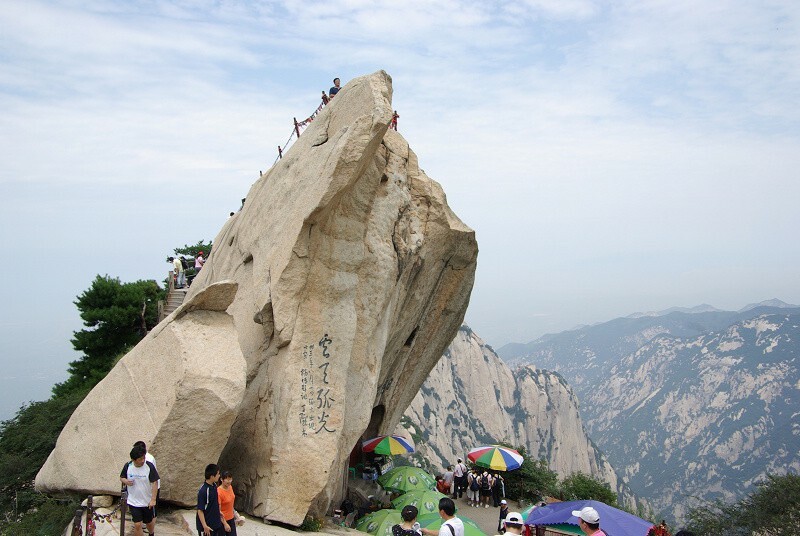 We will taste the traditional Chinese food at Dumpling Banquet that you may never experience.And challenge one of the most dangerous mountain, Huashan mountain. Arrive in Xi’an — one of the oldest cities in China, it served as capital of 11 dynasties, and is notable for being the starting point for the famous “Silk Road”. Our guide and driver will pick you up from the airport, transfer you to the Xi’an city. 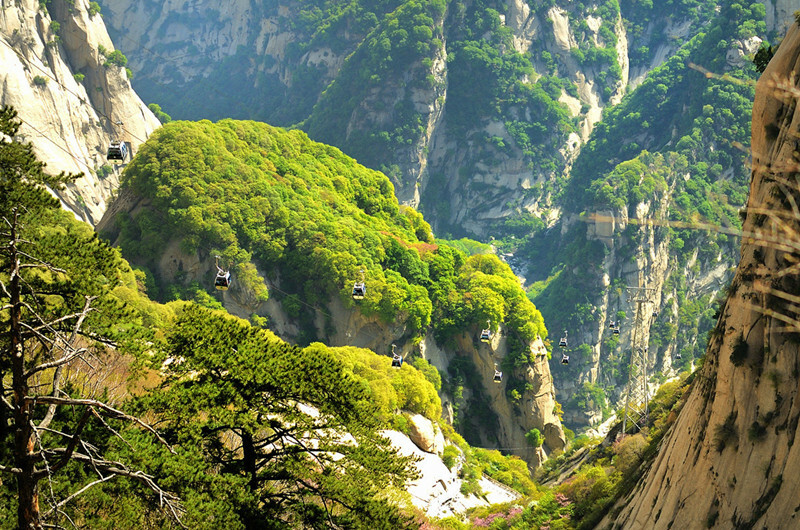 Transfer you to Lintong after breakfast,Visit the incredible 2000 year-old Terracotta Warriors and Horses，a life time viewing of the extraordinary 2200-year-old terra-cotta Army of China. Have lunch in the local restaurant. Visit the Huaqing Hot Pool which is famous as the emperor Tangxuanzong and his favourite concubine Lady Yang. Back to the city . Spend the morning at one of the best museums in China, the Shaanxi Historical Museum.It is a large modern museum of the national level. Visit the Big Wild Goose Pagoda —As the symbol of the old-line Xian, Big Wild Goose Pagoda is a well-preserved ancient building and a holy place for Buddhists.Taste the local Dumpling Banquet,seeing the famous Tang Show. 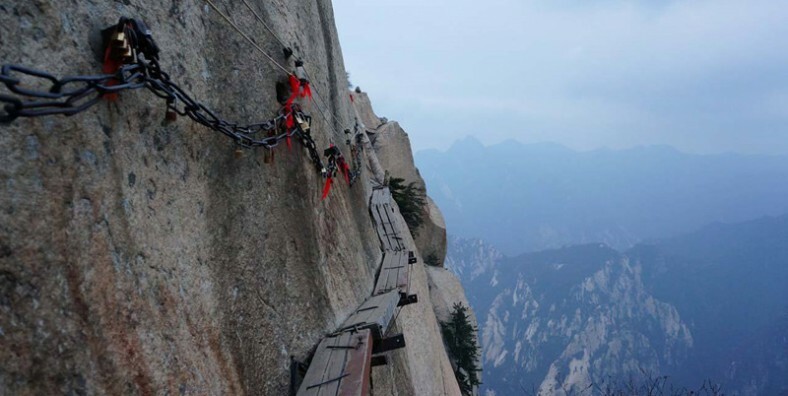 Today you have to get up early so as to take the new cable car up to the West peak, then you can challenge other peaks. Mt. 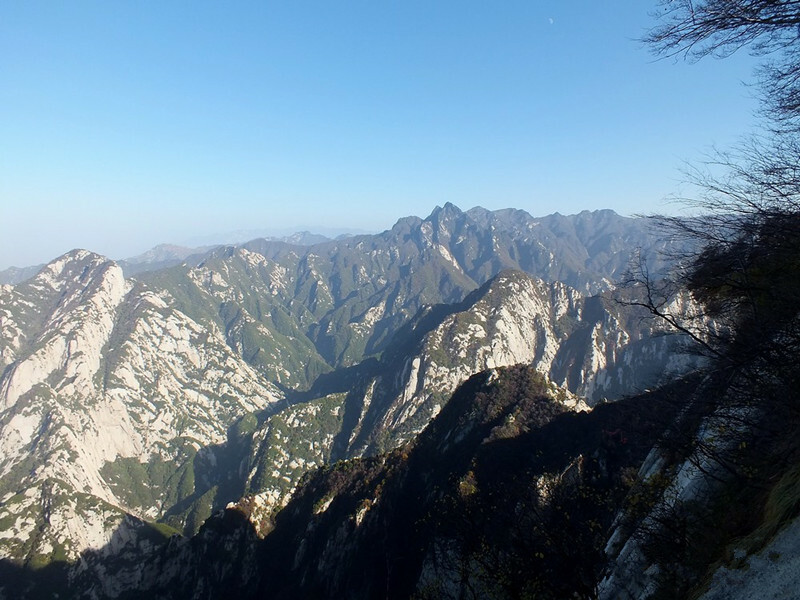 Hushan is well-known for its steep and high peaks, and it enjoys a great reputation for its fall scenes, blue sky with white clouds, and the red maple leaves scattered in the valleys here and there. Take a stroll along the Ancient City Wall, you can take bicycle on the city wall. The Ming City wall is one of the best preserved protect projectin ancient times. Taste the local food in Muslim Street, enjoy the local people’s life.